Showing posts by Madeleine Varkay. Fear fends off disaster, but does fear give us the tools to manage risk? Do we need to spend precious time learning complex risk management techniques? Perhaps not: learning disaster reduction techniques could be as easy as playing a game. 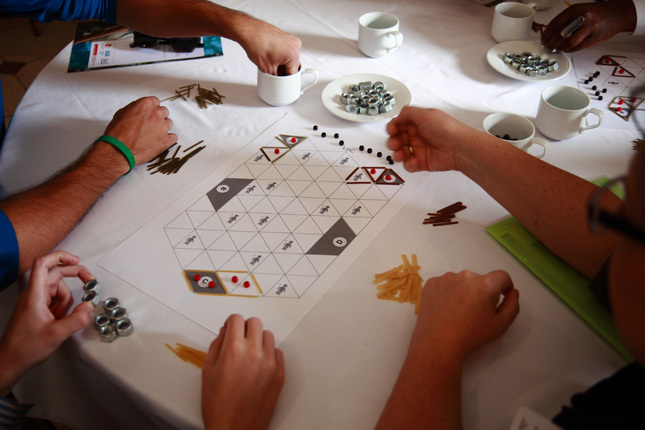 “Well-designed games, like risk management measures, involve decisions with consequences. While games can never fully capture the complexity of climate risk management decisions, through gameplay these complexities can be revealed, discussed, and processed,” writes Pablo Suarez, the Climate Centre’s associate director for research and innovation.